Since its creation in 1970, Colgate’s Peace and Conflict Studies Program has been at the forefront of research and instruction in this interdisciplinary field. Founded with a generous gift of the Cooley family, the program presents a challenging course of study that integrates trans-disciplinary academic approaches to war and peace with research into specific regional conflicts and their aftermaths. The curriculum offers students a range of opportunities to explore the complex impacts of violence, the challenges of human security, and human rights issues in global perspective. 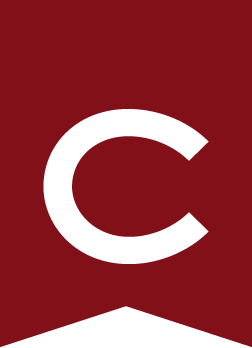 With its regular film and media series, symposia, lectures, and unique electives, the program is actively involved in promoting the study of peace, conflict, and security at Colgate and beyond. After taking advantage of the distinctive combination of faculty and program resources at Colgate, peace and conflict studies majors have pursued successful careers in various international arenas, including law, government, development, journalism, academe, and the private sector. The Dag Hammarskjöld Prize in Peace and Conflict Studies — awarded by the program to the student chosen by the peace and conflict studies advisory committee from among students with a major or minor or who have taken at least two courses, in peace and conflict studies, given on the basis of outstanding work in the program and usually judged on one specific written work. The Sterling Prize — established in honor of John F. (Jay) Sterling ‘68, to recognize excellence in international studies and a personal commitment to peaceful cooperation among nations. The prize is awarded annually to a Colgate student whose academic work in international economics, politics, or culture exemplifies Jay Sterling’s spirit of endless curiosity, university interest, and constructive work. The Clarence Young Award — awarded in memory of Clarence W. Young, a member of the psychology department from 1929 to 1971. Established as an award for academic excellence in peace and conflict studies. Majors may qualify for departmental honors by achieving at graduation a GPA of 3.50 in major courses and an overall GPA of 3.30. For high honors, Majors must achieve a GPA of 3.70 in major courses and an overall GPA of 3.30 by graduation. Students who expect to qualify and who seek honors or high honors enroll in PCON 499 upon completing PCON 479 . Students enrolled in PCON 479 who fail to receive a grade of A– or higher in the seminar paper may not enroll in PCON 499 in order to pursue honors or high honors in peace and conflict studies, without the written permission of the program director. Candidates for high honors must have grades of B- or better in all Cluster 1 courses. Working with a principal adviser and a second reader, the student writes and submits a substantial paper for this course and defends it before the program faculty. The designation “honors,” “high honors,” or neither, is determined at the conclusion of the defense. This paper must be a substantially different, revised, and expanded version of the student’s senior seminar paper. Honors and high honors projects should demonstrate the ability to work creatively and independently and to synthesize theoretical, methodological, and substantive materials in peace and conflict studies. Such a project should be planned and begun in the fall term of the senior year (or earlier), with the research and final writing completed in the spring term when the student is enrolled in PCON 499 . Majors seeking to qualify for high honors in peace and conflict studies are required to demonstrate competency in a foreign language equivalent to two semesters at the 200 level. A student pursuing a double major and enrolling in the honors seminar may petition to have two courses count for both majors. The Peace and Conflict Studies Program strongly encourages majors to participate in Colgate study groups or extended study or approved programs, especially in world regions relevant to their Cluster 3 geographic area. Students should consult with their PCON advisers and the director, as well as the Office of Off-Campus Study/International Programs, regarding approved off-campus study options, credit approval, and application guidelines. See Off-Campus Study for additional information. The academic program in peace and conflict studies is supplemented by activities coordinated by the director and the program faculty. In addition to lectures, films, and conversations with visiting scholars, the program hosts and sponsors seminars, field trips, conferences, workshops, and collaborative research with U.S. and international partners. Refer to the program web page for current details.